The weeks are going by painfully slowly and I keep fearing a miscarriage. I feel like I’m entering the most critical two weeks now. If I get to week 8 without any worrisome signs, then I will be slightly reassured for my first appointment. 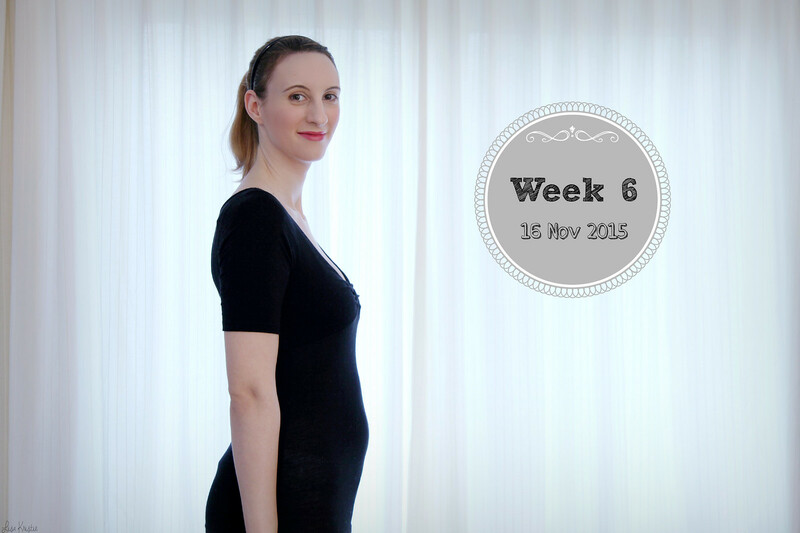 I always felt like week 6 and 7 were so fragile, and I definitely feel it again this time around. Obviously, the memories of everything we’ve been through aren’t exactly helping my anxiety right now. Part of me has a good feeling about this one. But I just can’t seem to be completely confident about it. I don’t know if I ever will. As far as the rest of my ever-evolving symptoms go: Nausea has officially kicked in since last Wednesday. This past week also marked the beginning of some much needed afternoon naps; which is very unlike me. My appetite is still steadily increasing. Although mostly in the evening and right before going to bed. That’s when I start drooling over hamburger commercials. Yikes! My digestion has been a bit funky since yesterday, so I can’t say I’m feeling great at the moment. Just by looking at myself in the mirror earlier, I would have sworn that this week’s picture was going to show a smaller belly than the past two weeks. But now that I’m putting all three pictures next to each other, this week definitely looks bigger. I somehow managed to lose half a kilo, so I can’t blame it on my weight. I’m slowly starting to recognize that typical pregnancy shape, with a definite tip at an upward angle. It’s kinda weird, but I do remember this also being the case with Sam. Although not this early on. Baby doesn’t look very cute just yet. But at least it’s progressing! Every day that passes is a step closer to finally having our first living child. At least I hope so.